And the winners are now posted to the TreesCount! Data Jam gallery! Enter your project by 4:00 PM!! The time has come to submit your projects. To be entered to win the delicious grand prize of lunch with NYC’s government leaders and/or a TreesCount! gardening kit, you must submit this form by 4 PM. Then, at 5:00 PM, send one team member to the main stage to collect your presentation number. The data is here!! Everything you need to know before attending! Tomorrow is going to be a beautiful day! We are looking forward to spending it with you. Here are the most important things for you to know!! Civic Hall, 156 5th Ave, New York City. Corner of 5th Ave and 20th Street. 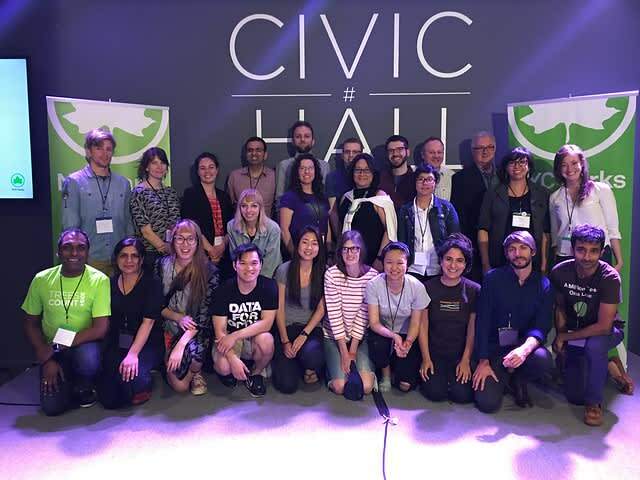 Welcome to the #DataJam community site! Are you ready for an exciting day to dig around in NYC’s TreesCount! Data? Today, we’re launching the TreesCount Data Jam community site. Our goal is to give you a one stop shop to see the data, who is attending, and what your neighbors are thinking. Hop on over to the forum and introduce yourself. FYI - If you are one of the lucky workshop ticket holders, you will get a seperate, detailed email on Thursday.